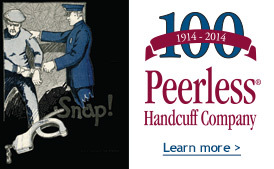 Peerless® Handcuff Company was established in 1914 in Springfield, Massachusetts. 100 years later, the classic swing through design of the original Peerless® handcuff, continues to be the industry standard. Peerless offers a full line of restraints including chain link handcuffs, hinged handcuffs, oversize handcuffs, leg irons, waist chains and color plated restraints. All of our products are designed to meet and exceed the tough U.S. National Institute of Justice standards for strength and quality. All Peerless products are backed by a lifetime warranty for manufacturer defects. Introducing the new Model 730C – Superlite chain link handcuff. Weighing in at just 5.2 ounces the Model 730 is near half the weight of a typical standard chain link handcuff. The Superlite is designed to meet the demands of law enforcement professionals while making the job a little easier. Available in gray or black finish. More information click here. Available in 60 inch, 78 inch or custom lengths. More information here. Peerless is conducting a voluntary program to repair certain of its 700 and 801 series restraints. Peerless is replacing the spring to ensure that the restraints meet our rigorous standards. Only restraints with the serial numbers identified are eligible for repair. 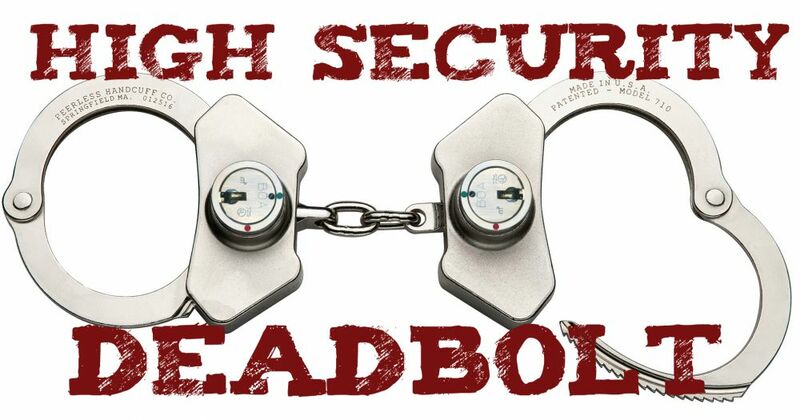 Model 710C - High Security Handcuff uses a non-standard key for added security.